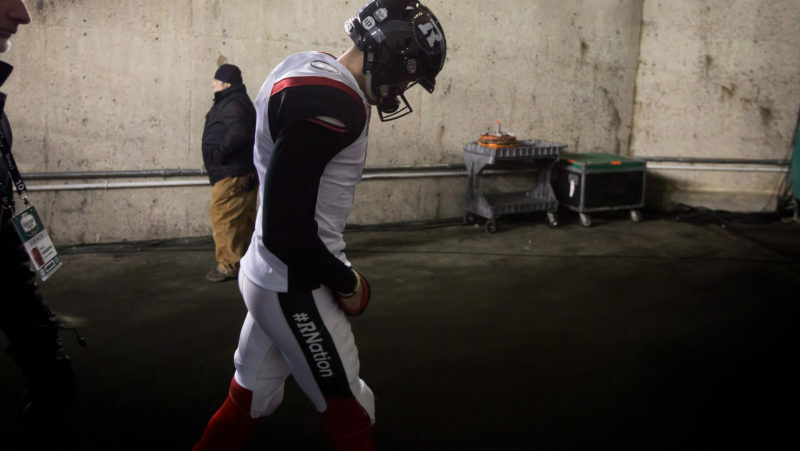 TORONTO — Just days after the Grey Cup, the focus has already turned to the off-season. From an expiring collective bargaining agreement to a flurry of pending free agents, the coming months will bring plenty of storylines for football-starved fans across the country. While much of that won’t be decided for months, marked by the official start of free agency on Feb. 12, history tells us there’s a lot to look out for in the month of December. This time last year saw a ton of activity, including the Alouettes hiring Mike Sherman; Noel Thorpe joining the REDBLACKS; the Argos trading for James Franklin; the sale of the Toronto Argonauts; and Johnny Manziel drama, among other things. With more qualified candidates available than coaching vacancies, the search for head coaches in Toronto and Vancouver will be the biggest storyline early in the off-season. The Lions need to replace all-time coaching wins leader Wally Buono, who retired this off-season, marking the top priority for second-year general manager Ed Hervey. Defensive coordinator Mark Washington is an internal candidate and sure to get an interview, though you can bet Hervey’s search will be extensive as the team ushers in a new era. 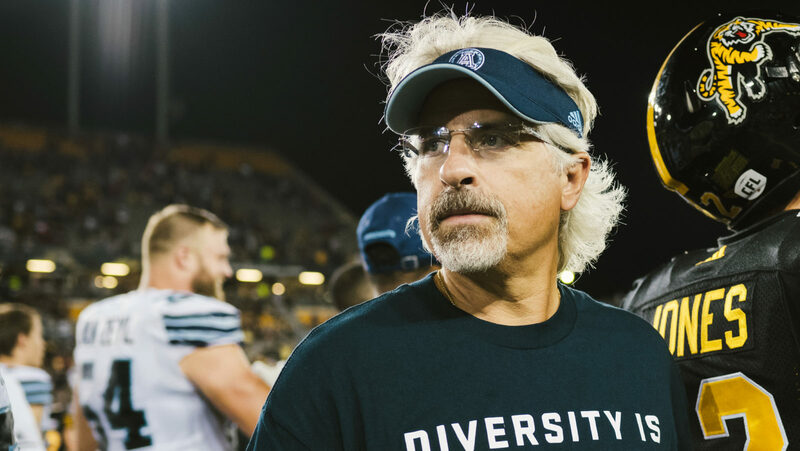 In Toronto, Jim Popp has plenty of options to consider after the team dismissed Marc Trestman immediately following the regular season. While the Argos aren’t likely considering any internal candidates, Popp has said the team will hire a coach with CFL experience. » Free Agent Tracker: Who’s set to go on the market? Plenty of names have already been mentioned, but Calgary defensive coordinator DeVone Claybrooks and Ticats assistant head coach Orlondo Steinauer are at the tip of everyone’s tongue. Steinauer, however, appears to be off limits after the Ticats announced Friday that he’ll be returning to the staff in 2019. Either way, both are considered the top up-and-coming coaches in the game and would be considered young, energetic and defensive-minded prospects. Former Argos defensive coordinator/Riders head coach Corey Chamblin is also a possibility, while Mike Benevides, Paul LaPolice and Carson Walch are just a few other names that could surface in the coming weeks. The last official accolades of the season roll in early in December, as the league announces its annual all-star roster. This takes the best of the divisional all-stars and puts them on one team. Almondo Sewell and Brendon LaBatte lead all active players with five CFL All-Star selections each, while Solomon Elimimian, Andrew Harris, Rene Paredes and Charleston Hughes have earned the nod on four separate occasions. This year’s CFL All-Stars will be announced in the first week of December. 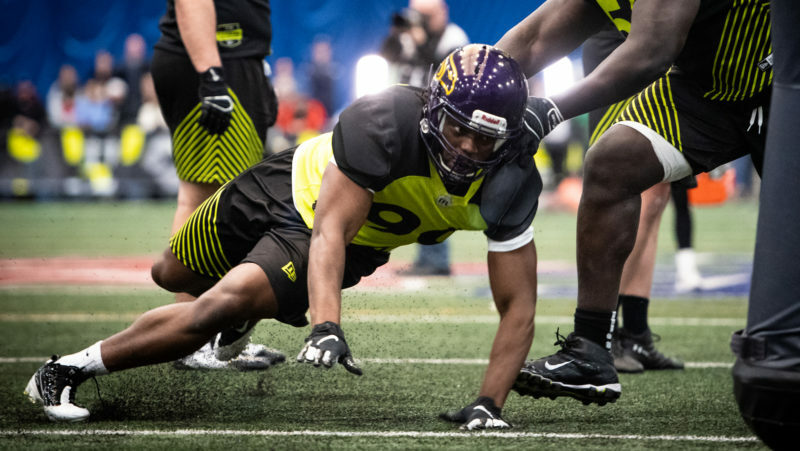 While the 2019 CFL Draft is still months away, it’s never too early to brush up on the country’s top draft-eligible prospects. 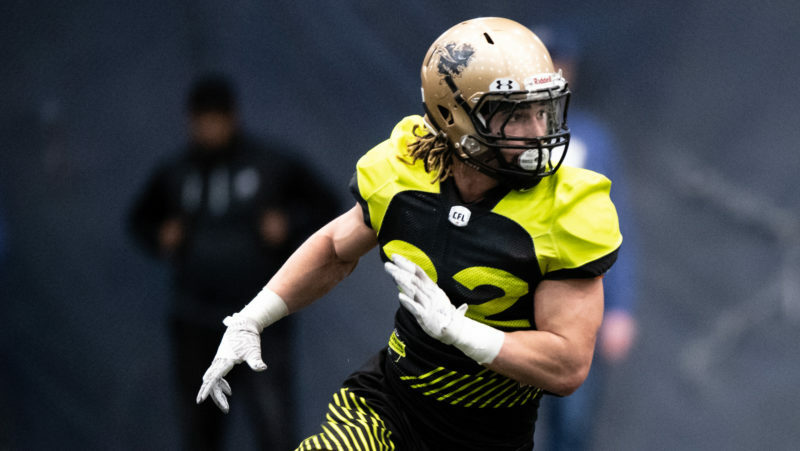 The best of them will be revealed in the first week of December as the second installment of the CFL Scouting Bureau is announced. Tennessee defensive lineman Jonathan Kongbo headlined the first of three installments back in August, but the USPORTS and NCAA seasons are sure to lead to some changes. The final reveal will come following the CFL Combine this spring. The CFL revealed the list of pending 2019 free agents this week, with a record-setting 320-plus players on the list. A mass of one-year contracts and an expiring CBA could lead to a lot of movement come February, but that doesn’t mean there won’t be action beforehand. General managers will spend their next several weeks trying to get a head start on their off-season by signing pending free agents they feel are crucial to their success. This window is especially important for GMs trying to lock up their starting quarterbacks, with Mike Reilly, Bo Levi Mitchell, Zach Collaros and Trevor Harris all listed as free agents. Last year a number of top pending free agents never even saw the light of day, with Trevor Harris, Weston Dressler, Emmanuel Arceneaux, C.J. Gable, Stanley Bryant and Kamar Jorden all signing new deals in December. Some veterans will mull over their playing future into the off-season, but you can expect to see some retirement papers filed in the coming month. One player openly pondering his future is Argos quarterback Ricky Ray, who’s expressed an interest in returning but says it’ll come down to how his body responds following a season-ending neck injury back in the summer. Some players will use this time to determine whether they’ll hang up the cleats for good or continue their professional football careers. One of the biggest trades of last off-season came in December, when the Argos took their chances in trading for pending free agent quarterback James Franklin. The move worked out, as Franklin signed an extension the following month, setting the quarterback carousel in full motion. One possible sign-and-trade candidate is Jonathon Jennings, who’s reportedly informed the BC Lions he won’t sign a new contract. It seems his time has run out in Vancouver, but teams should still see potential in the 26-year-old. The Montreal Alouettes also have a logjam at the quarterback position, possibly opening them up to a deal. They have five quarterbacks under contract for 2018 including Johnny Manziel, Antonio Pipkin and Vernon Adams Jr.
With so many pending free agents, it’s hard to predict what the trade market might bring, but past instances tell us at least one deal will be struck. 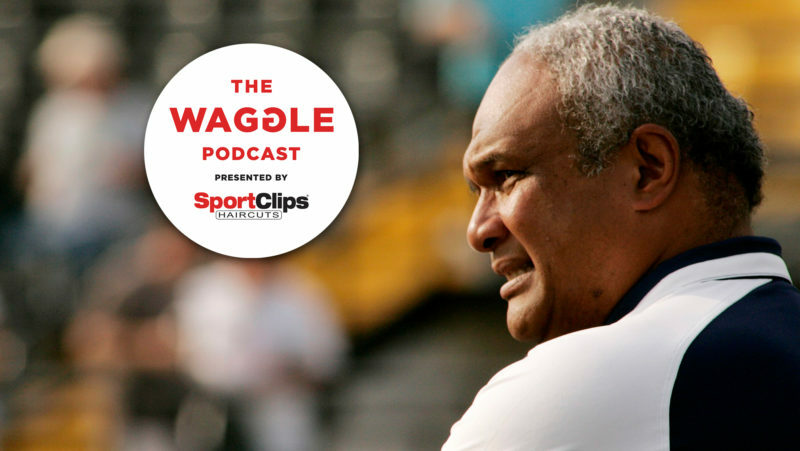 Potential coaching changes aren’t limited to Toronto and BC. December is a race to fill out any vacant coaching positions and finalize coaching staffs while the best candidates are available. 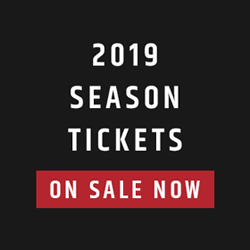 The Montreal Alouettes are likely in search of a defensive coordinator following the sudden departure of Kahlil Carter last season. Rich Stubler filled in for Carter but was initially brought in as a mentor. The Als may look for a long-term fix at the position. 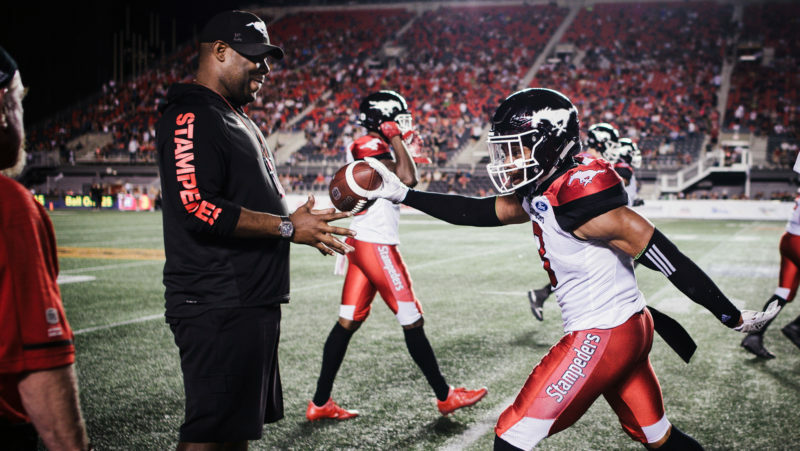 Elsewhere, the Stamps could have a void to fill at defensive coordinator as DeVone Claybrooks is highly-coveted for head coaching jobs (or possibly an NFL look), as are Mark Washington, Noel Thorpe and Paul LaPolice. There has also been speculation as to whether or not June Jones, who turns 66 in February, will return for a third season. All in all, expect there to be plenty of headlines over the next 30 days as the off-season picks up steam.